Ontex lists the ingredients and materials for its new Little Big Change diapers. Through smarter product design, superior materials and an efficient supply chain, Essity has been able to reduce the carbon footprint of its diapers in Europe. 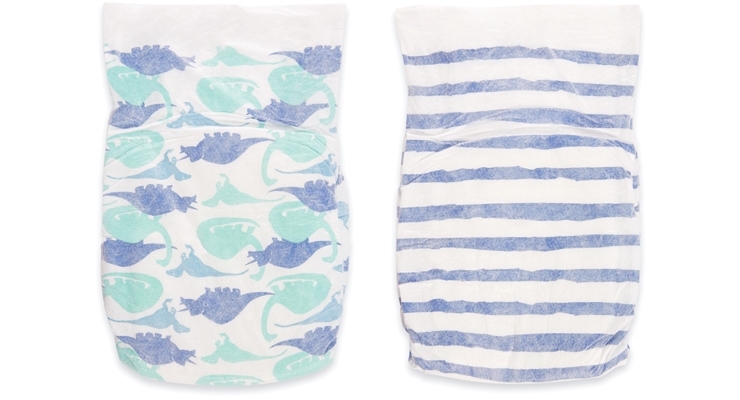 Known for its cotton muslin swaddles in signature prints, aden + anais came out with its own line of disposable diapers featuring the same designs. Parasol expanded its range of products in 2018, which included a redesigned premium baby diaper. Huggies Made by You diapers. 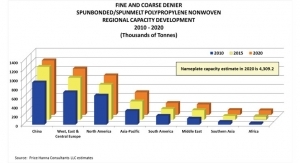 While thinner and softer diapers remain leading trends in the baby diaper market, the last several years have seen a major shift regarding the transparency of ingredients and materials in these products that come in contact with baby’s sensitive skin. Millennial moms and dads are the driving force behind this. Actress and mother Jessica Alba—who, born in 1981, is considered a millennial—founded the Honest Company in 2011 because she was seeking safe, effective products for her family. Honest is “a wellness brand with values rooted in consciousness, community, transparency and design,” according to the company’s website. Pricie Hanna, managing partner, Price Hanna Consultants, credits the Honest Company for emphasizing transparency in diapers and other products. “It is part of their name, if you will,” she says. From the beginning Honest has revealed information about its diapers, and Hanna considers the company still on the leading edge of disclosing the most information. “In addition to disclosing the ingredients, Honest discloses where the materials for some components originate, which is unusual,” she notes. Diaper giants Procter & Gamble and Kimberly-Clark have become more transparent about ingredients, and newcomers to the diaper market tend to put material information front and center. One of these new diaper brands is Ontex’s Little Big Change, which launched in September. 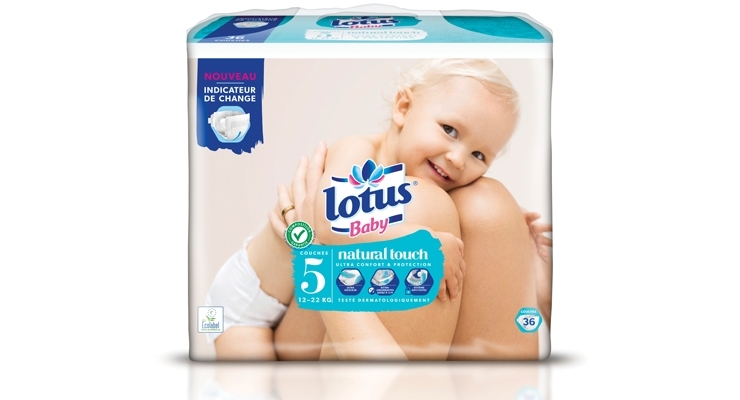 These “healthy” nappies are available through an online subscription at an affordable price. The idea behind the formation of Little Big Change was to create a disruptive brand that offers a better alternative versus both the traditional and eco-niche baby brands, not only with regards to the products offered but also in the way of delivery and service, according to Ontex. When the brand launched last year, Ontex revealed information about all components of the diaper. Ontex executives observe that transparency is a value that is sought after in today’s world that impacts all products and services. According to the company, people—prospects and customers alike—are asking brands to be more transparent on sourcing, production, social impact, etc. So it was only natural for the company to provide as much transparency as they could in regards to its diapers. Little Big Change diapers are made without toxic or irritating substances, and are certified Dermatest 5 stars, Oeko-tex 100 and FSC. 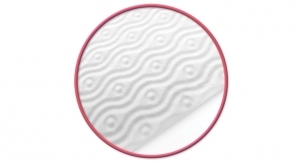 They are hypoallergenic and provide up to 12 hours of protection. The fluff in the absorbent pad is only made with cellulose originating from trees and is bleached with oxygen and guaranteed T.C.F. (totally chlorine free). Little Big Change describes its SAP (super absorbent powder) as a synthetic component found in all disposable nappies. It is perfectly safe and ensures effective absorption. 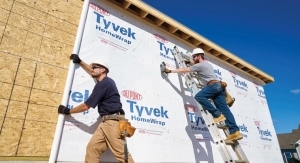 The inner layer is made of polypropylene, a very soft material and is danger-free. It is this part that will directly touch the baby’s skin, and there are no additives or harmful products in this layer. Its outer layer is made of polyethylene, woven very lightly to allow the skin to breathe to the fullest. Meanwhile, the anti-leak barrier is also very soft, with elastic straps that don’t squeeze the baby’s bum too much, which is also made without latex. Little Big Change diapers are currently only available in France. Attitude is another company that considers transparency to be an important part of today’s personal care market. The Montreal-based company creates all-natural, hypoallergenic and conscientious products with worry-free ingredients. 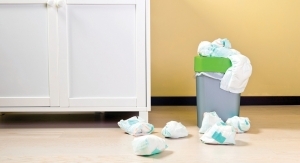 The brand’s disposable baby diapers, which launched in 2009, are free of fragrances, dyes, print and lotions that can irritate skin, and also feature biodegradable components. The diaper’s exterior and interior linings are composed of a biodegradable polymer and an absorbent layer composed of cellulose (biodegradable wood pulp). Meanwhile, Amazon, one of the world’s largest diaper retailers, is continuing to expand in the baby diaper market. The retail giant first entered the market with its own Elements brand of diapers at the end of 2014. This effort lasted only a few weeks as negative consumer feedback led Amazon to remove the diapers from its website. Three years after its initial foray into category, the company quietly launched Mama Bear diapers, using a new supplier. Instead of relying on the small Canadian diaper maker Irving Personal Care, Amazon reportedly enlisted the help of Kimberly-Clark, maker of Huggies. Ten months after the Mama Bear launch, Amazon announced it was trying its hand at the natural baby diaper market. 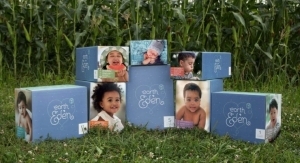 In September, the company rolled out the exclusive, premium diaper brand Earth + Eden in partnership with First Quality Baby Products. Described as cruelty free—meaning not tested on animals—Earth + Eden diapers are made with certified sustainably sourced fluff and printed with non-toxic, water-based inks. 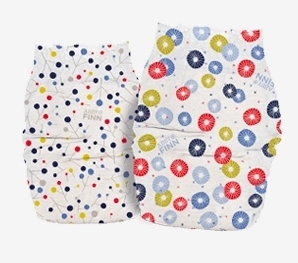 The diapers also feature a printed band at the top of the product as well as a cotton blend dryness layer. 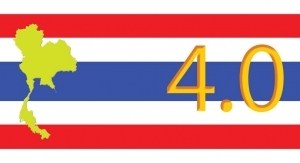 They are free of natural latex rubber, chlorine and adhesives. 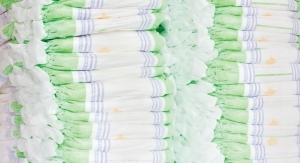 Amazon isn’t the only behemoth to tackle the so-called natural diaper market. Diaper leader P&G entered the natural diaper space last February with the Pampers Pure Collection. The new range is the first-ever diaper and wipe collection made with premium cotton and other thoughtfully selected materials. Pampers Pure diapers and wipes are made without chlorine bleaching, fragrance, lotion, parabens, natural rubber latex and 26 allergens identified by the E.U. Pampers Pure was developed by a P&G scientist, and mother of twin girls, who couldn’t find an option that had everything she was looking for in baby care products. For Essity’s Libero brand, environmental care has been a natural priority and the brand has carried the Nordic Ecolabel, the Swan, since 2007. “We cannot make products for children without taking the environment into account,” Clausen says. In order to be approved for the Nordic Ecolabel, it is not enough just to meet strict environmental requirements—the products’ function and quality are also evaluated, he notes. The Nordic Ecolabel Board examines the products’ environmental impact during the key stages of their lifecycle. 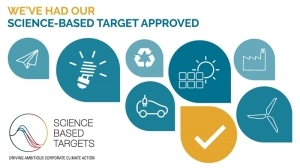 “Our lifecycle approach together with the Nordic Ecolabel is a guarantee for the consumer that we continuously improve our environmental profile,” he says. In addition to well-known companies like Amazon, P&G and Ontex adding new diaper lines, other newcomers are also hoping to gain share in the baby diaper market. Last January, aden + anais, a popular baby brand known for its cotton muslin swaddles, added a line of disposable baby diapers featuring the brand’s signature prints. aden + anais’ diapers are ultra-absorbent with a snug, flexible fit that moves with baby for leak-free protection. Dermatologically tested and hypoallergenic, they are gentle against delicate skin and contain no harsh chemicals, chlorine, fragrances, lotions or latex. Launched in July, ABBY&FINN is another newcomer to the diaper market. The company bills itself as an ultra-flexible diaper subscription company with a give back model. The company intends to disrupt the diaper subscription market with its affordability, flexibility, and high-quality, environmentally-friendly products. After diving into the world of diapers, Little and her husband Lance Little realized that one in three families in America struggle to simply afford diapers, thus their give back model is built into their business and is part of their name; FINN stands for Family IN Need. For every subscription box sold, ABBY&FINN donates 30 diapers to families in need throughout the country. “Our well-established non-profit partner organizations use the diapers as incentives for participation in family programs such as taking their kids to wellness checkups, parenting classes, finishing school, etc.,” Little says. 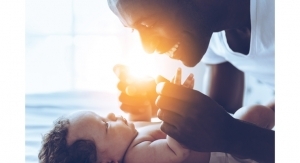 According to Colin Hanna, the internet and the ability to have an e-commerce presence for minimal cost has made it easier for new brands to market their own type of diaper. 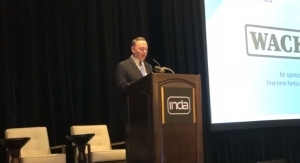 “That was not the case when everyone was dependent on brick and mortar retail distribution,” he says. Another factor is that contract manufacturing has become easier to arrange. Hanna believes these new brands don’t have much that’s actually proprietary about their diapers. “What’s proprietary is their branding and how they do it on the internet,” he says. These new brands are also very good at trying to build a community around their product. “The users of their product feel like they are part of something new: a community that’s more conscientious of both safety and environmental friendliness,” he adds. In fact, ABBY&FINN had recently re-launched its wipes, which were reformulated based on subscriber feedback. “We’ve updated them to be more natural and more effective at gripping and cleaning,” Little says. The brand is also planning to expand its diaper design options to offer a larger selection for parents. “One of the benefits of being a small family-run company is that we can respond to feedback and suggestions quickly, and we are always looking for ways to improve our products,” she adds. Parasol is another brand relying on community engagement. Following Parasol’s initial launch in 2016, CEO and co-founder Jessica Hung carefully listened to customer feedback and sought to develop an even softer and higher performing diaper. 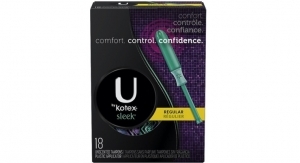 Earlier in 2018, the company launched an enhanced range of hygiene products that included redesigned diapers featuring an ultra-thin, airlaid core, baby pants, feminine hygiene products and wipes. Hung says that Parasol’s 2018 launch has been very well received by subscribers and reviewers. To create its redesigned diaper, Parasol spent time working with its manufacturers and suppliers to meet the requirements of parents in North America and Asia. “This took us some time, but after working with parents on two continents, we found some differences, but more similarities,” she says. 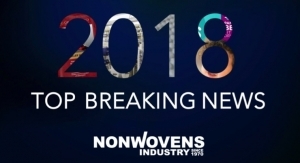 Hung plans to deliver the next generation of Parasol products in mid-2019. A majority, if not all, new brands have entered the baby diaper market showing off unique and attractive designer prints, but Kimberly-Clark’s Huggies brand has taken design to a new level with customizable diapers. 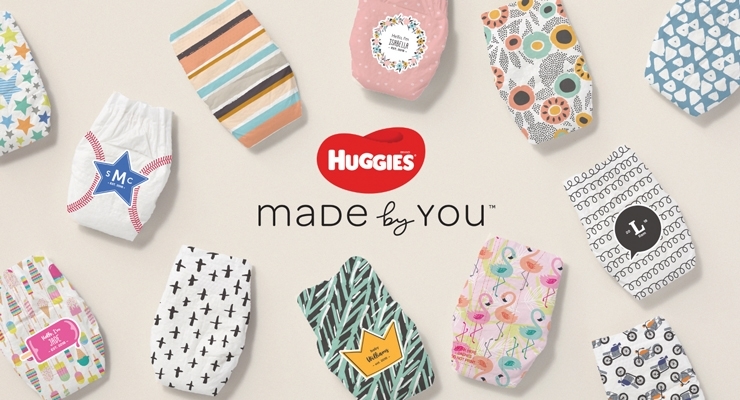 In June it launched Huggies Made by You, which allows consumers to design their own Huggies diapers with a name, monogram or date and choose from five limited edition collections. Huggies describes the one-of-a-kind diapers as the ultimate baby gift.